Liz is currently pursuing her master’s degree. Her research focuses on the emergence and transmission of zoonotic pathogens in and between nonhuman primates and humans in West and Central Africa. Savannah is currently pursuing her doctoral degree. Her research focuses on human and nonhuman primate interactions in East Africa. 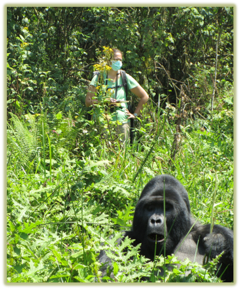 Tara is currently a Masters student with interests in all things nonhuman primate conservation. She has previously worked in South West Africa.